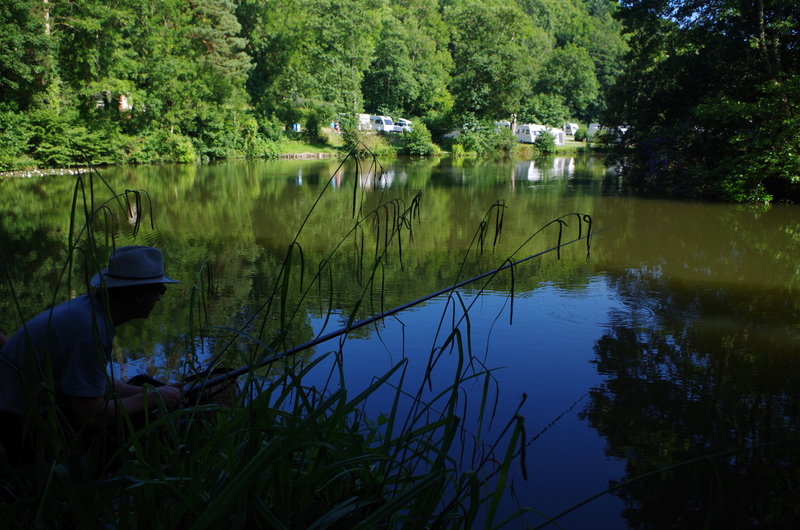 Accommodation Available from just £140pp for 3 Nights, this includes Fishing and Entry into all Competitions. CATCH PIKE, PERCH, TROUT, CATFISH AND MANY MORE SPECIES! 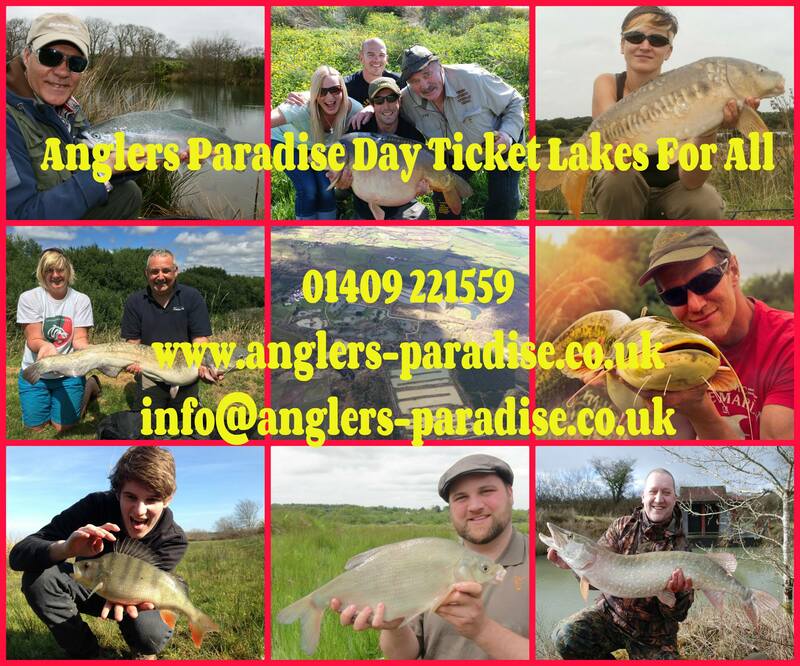 PRIZES include a Week’s Holiday at Anglers Paradise, Tackle and More! 11 YEAR OLD LAD CATCHES A 60LB CATFISH!! 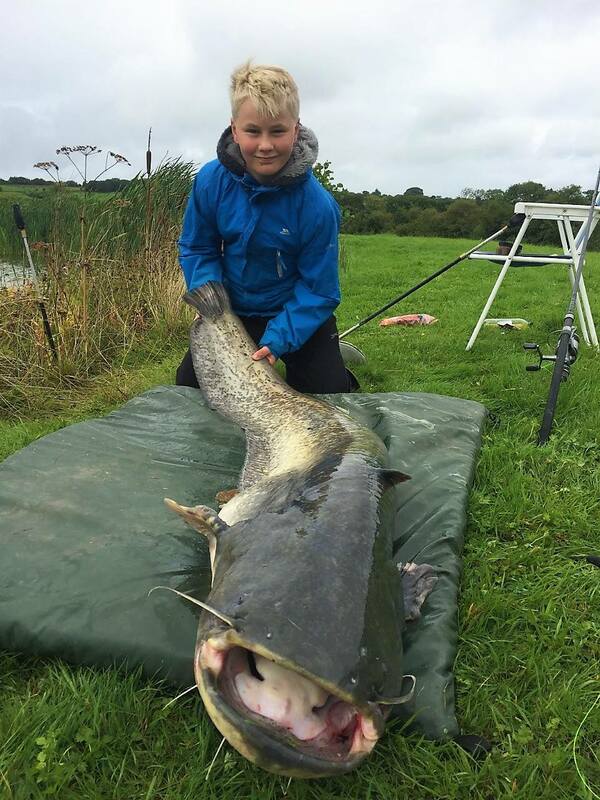 Ben Moore 11 from Dorchester, fished Nirvana’s Day Ticket Specimen Catfish Lake with his Dad and caught a massive Wels Catfish of 60lbs beating his previous PB by 30lbs!!! The Fish was longer than him!! It took him 15 minutes to land it in wet and windy conditions, but that didn’t faze Ben!! 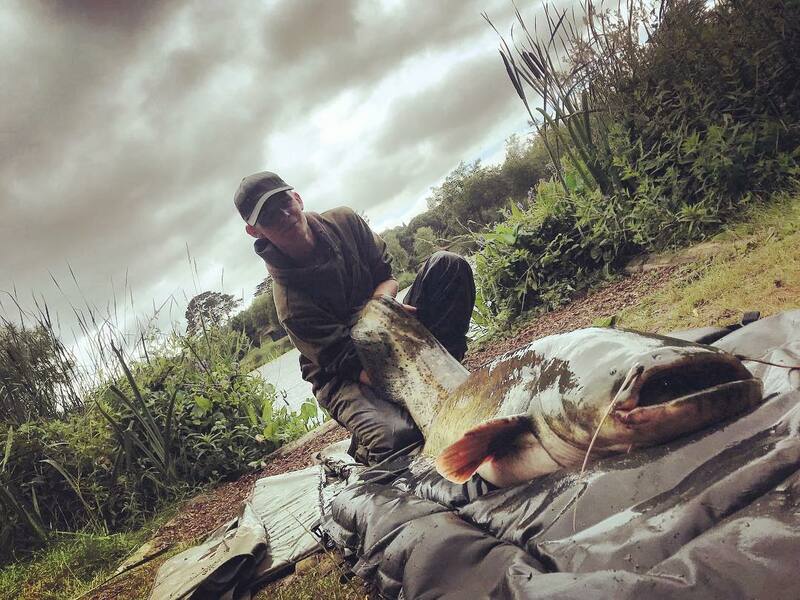 Ben caught the Monster Cat using 3 x 25 mm glugged Halibut pellets, long hair rig, popped up 12 inches using a size 2, debarbed eagle claw catfish hook on a 3lb test curve ‘Free Spirit Pike Tamer’ rod, 18lb monofilament line with 24 inches of 40lb ‘shock leader’ monofilament end tackle. Here is a photo of the winning Carp from+ the monthly 5’C’S (The Crazy, Crafty, Cunning Carp Catchers) match I am very proud to say that I caught it wearing the same T Shirt I took to Cape Verde and managed to catch a thousand pound plus Blue Marlin which straightened the hook and came off. As the fish was going to be released and the leader was touched according to IGFA rules it counts. The interesting thing is that the match before we went to Cape Verde I wore the same T Shirt and won the match with a different 20lb Carp. It looks like it works for catching fish. Enclosed is a picture of the straightened hook. Big Marlin is Camera shy! 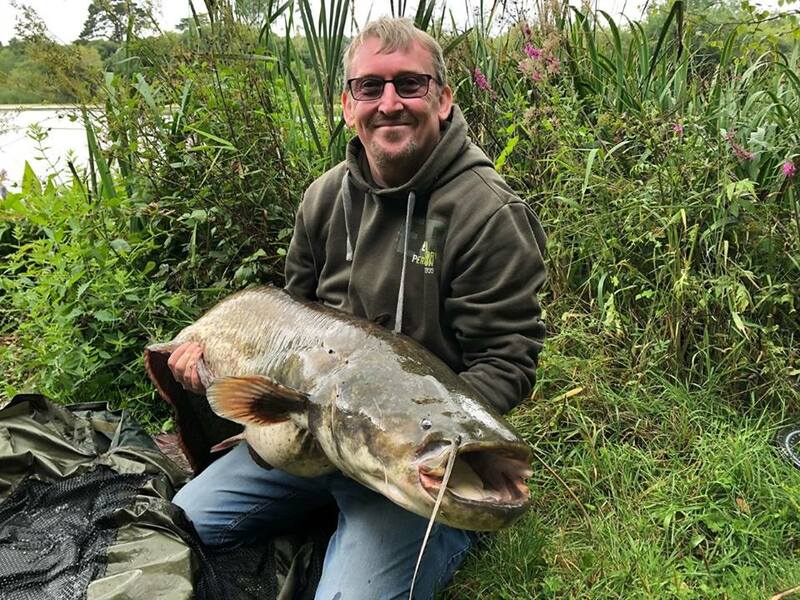 Simon Phillips 36, from Exeter fished Anglers Eldorado for the 1st time and caught his Personal Best Catfish at 35lbs 7oz within just 10 minutes of fishing!! Simon caught the Cat on Meat. 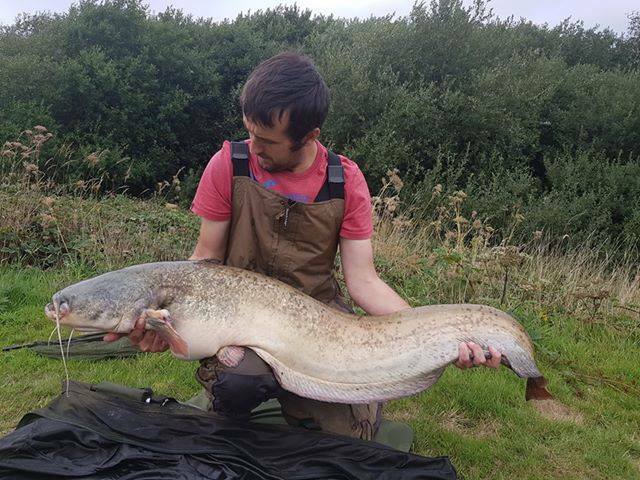 Some stunning fish from the Anglers Paradise Complex if you want a big cat now is the time to target the species before the autumn arrives. 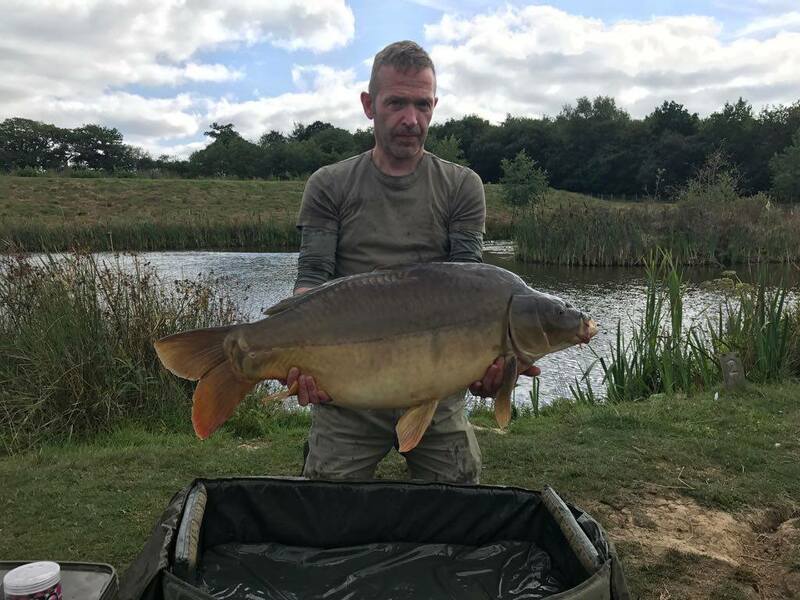 (Below) Richard Craig who caught a 35lb 12oz Mirror from Nirvana’s Kracking Carp Lake which completely knocked his previous PB of 17lbs off the scale!! 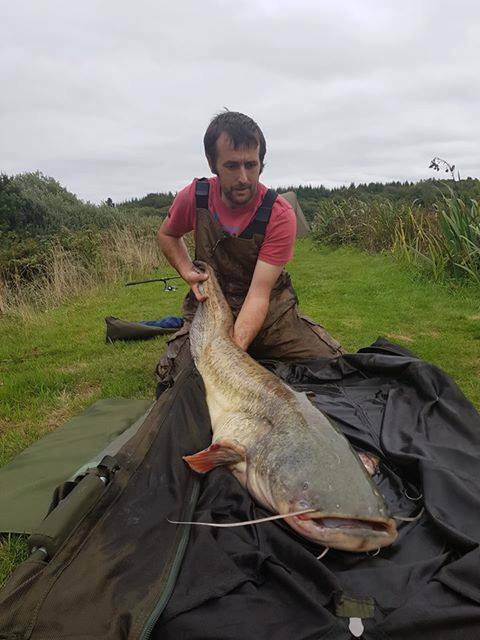 (Below)Michael Pallett who caught his 1st ever Catfish at a whopping 67lbs from the Main Carp Lake which is pretty awesome for your first ever Catfish!! (Below)Andy Nettleton joined us for his 1st ever Anglers Paradise Holiday and couldn’t wait to fish the Famous Koi Lake! It wasn’t long before he started catching plenty including this beauty and Andy’s new personal best at 10lbs 6oz!! 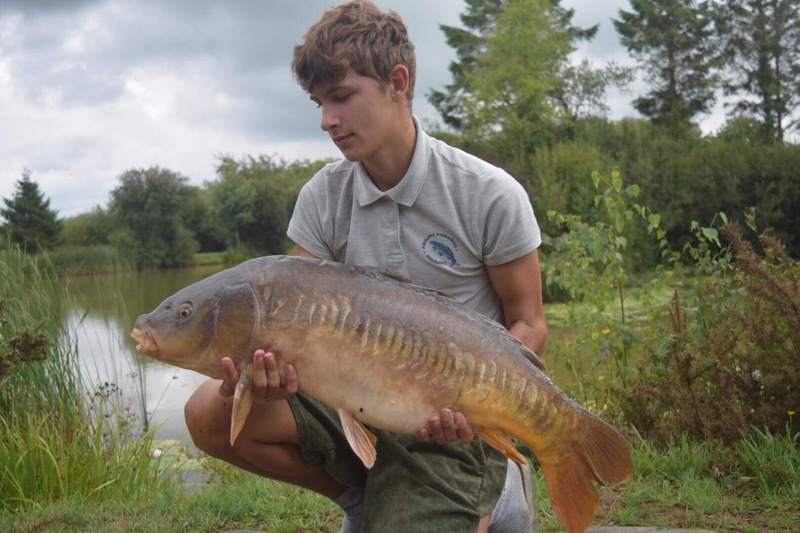 (Below)Ben Hazell with a new UK PB at 27.2llb Linear mirror carp. Caught on a 20mm Baitworks Royal Marine hard hook bait which was backleaded and cast close to the lilies. .
(Above)Gillian Lowrie, 39 from Scotland decided to give Anglers Eldorado a go in search of a UK personal best and that she certainly did!! She only went and caught the biggest Cat of the year from the Bottom Cat and Carp Lake recorded this year at 40lbs 13oz! 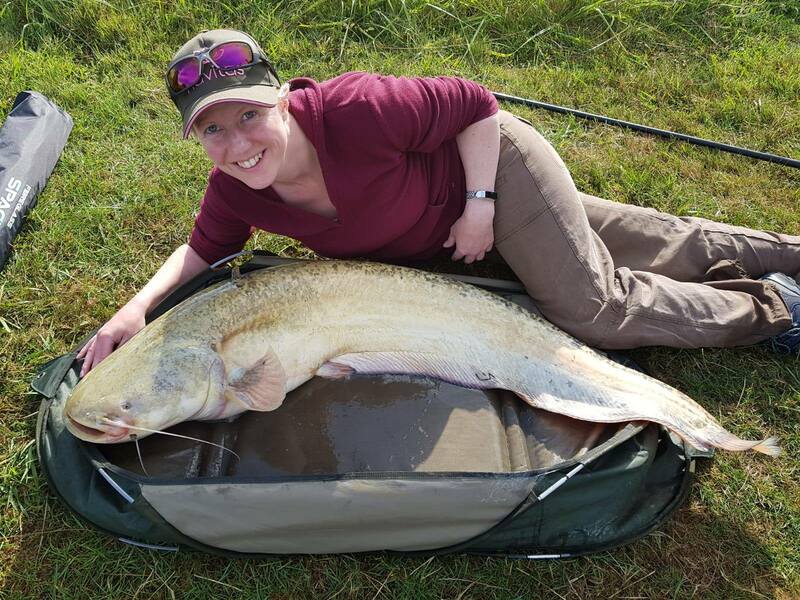 Gillian caught the Wels Catfish on double 21mm halibut pellets. PERSONAL BEST KOI MAKES 1 HAPPY HAPPY ANGLER!! 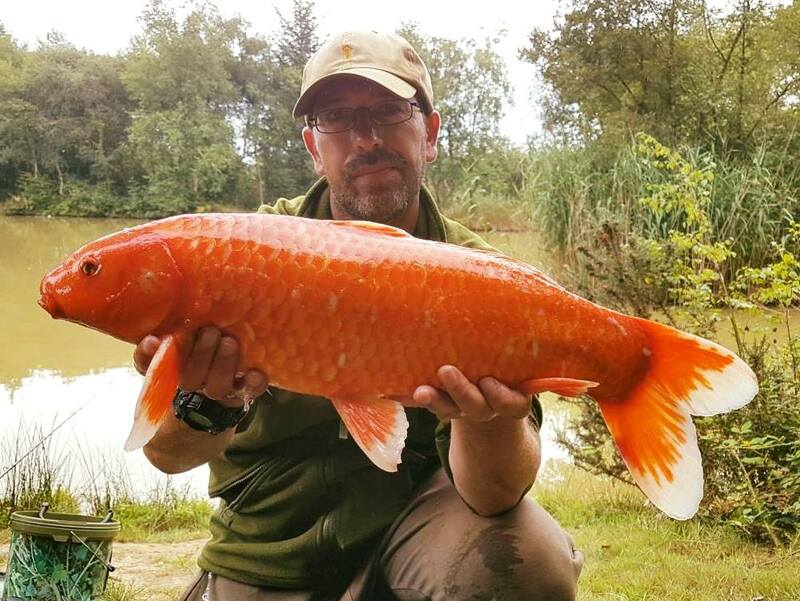 Andy Nettleton joined us for his 1st ever Anglers Paradise Holiday and couldn’t wait to fish the Famous Koi Lake! It wasn’t long before he started catching plenty including this beauty and Andy’s new personal best at 10lbs 6oz!! Some anglers take their dogs with them to the waters edge. 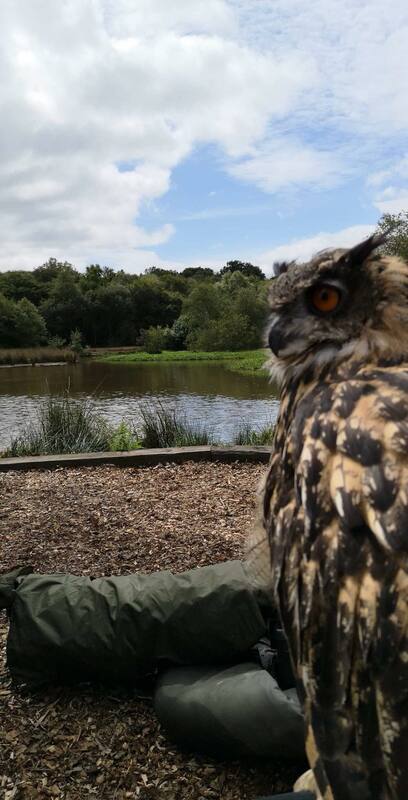 Richard Mason brings his pet owl with him on carp fishing excursions to Stafford Moor. 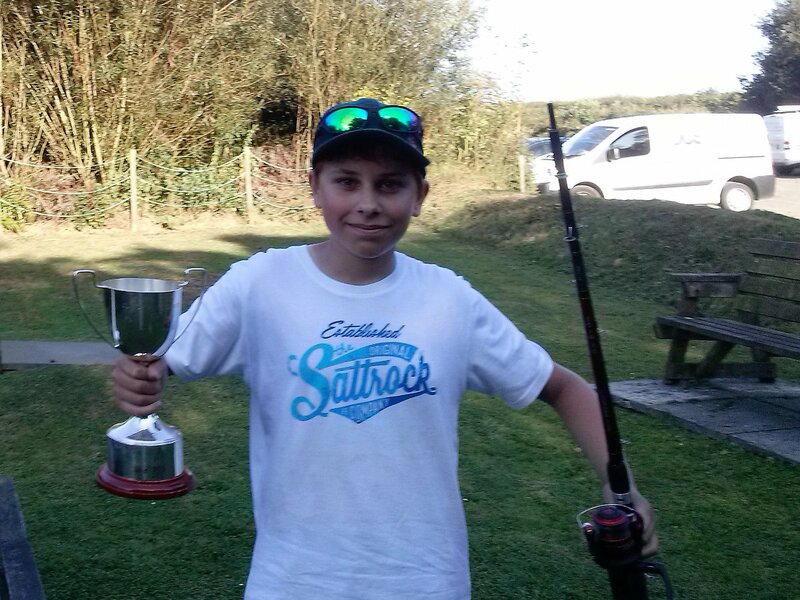 Congratulations go to Bideford angling Club for organising a series of Junior Angling Matches on their home water Tarka Swims. 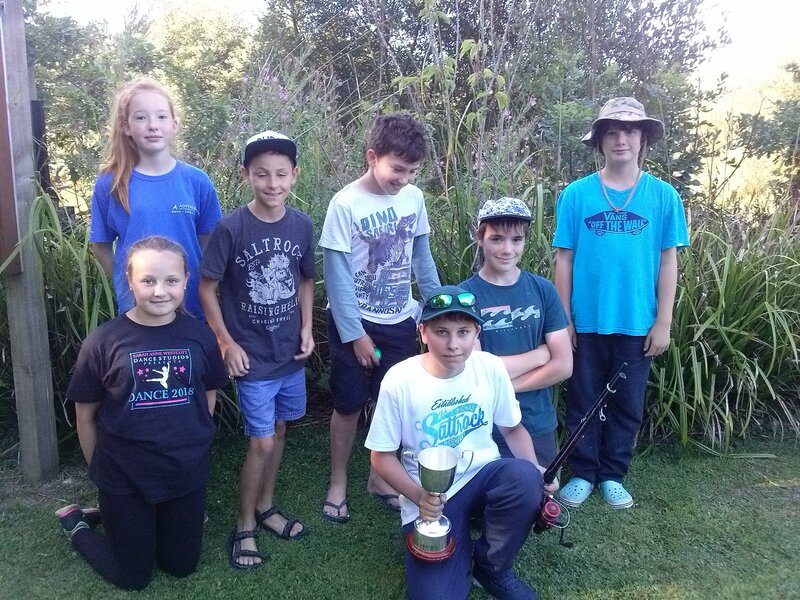 The future of angling rests with these young people who will hopefully embrace a pastime that will bring a lifetime of enjoyment. Many thanks to Martin Turner for the report. 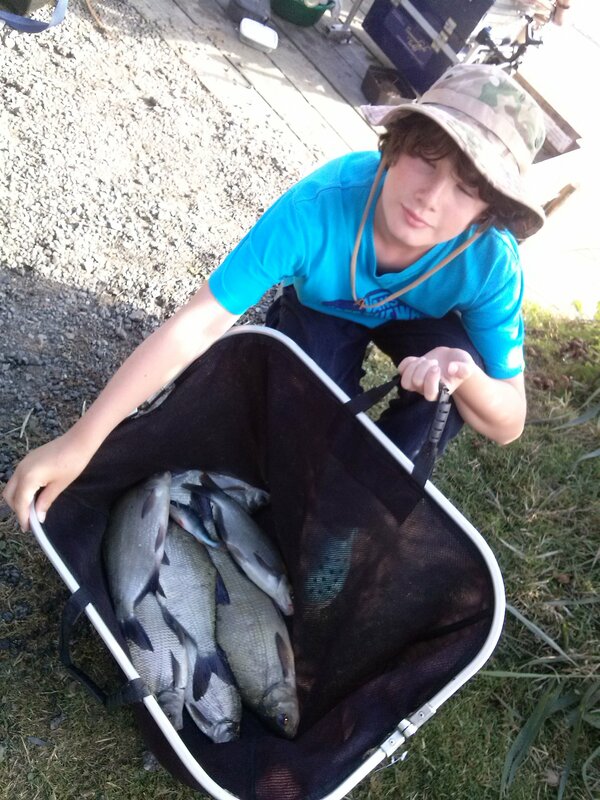 Ruari has fished with maggots on peg P for a nice bag of bream. 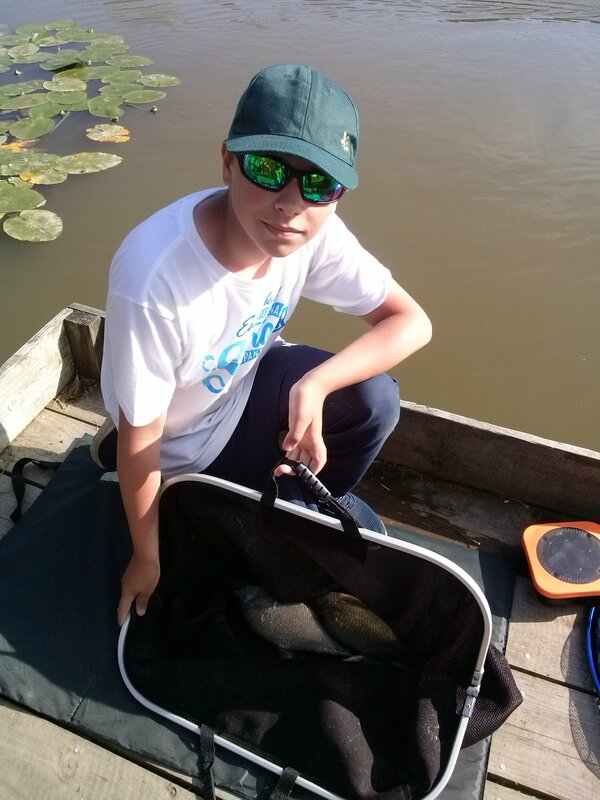 Will, on the next peg, fished with a ledgered pellet and caught a lovely mirror carp for second place. 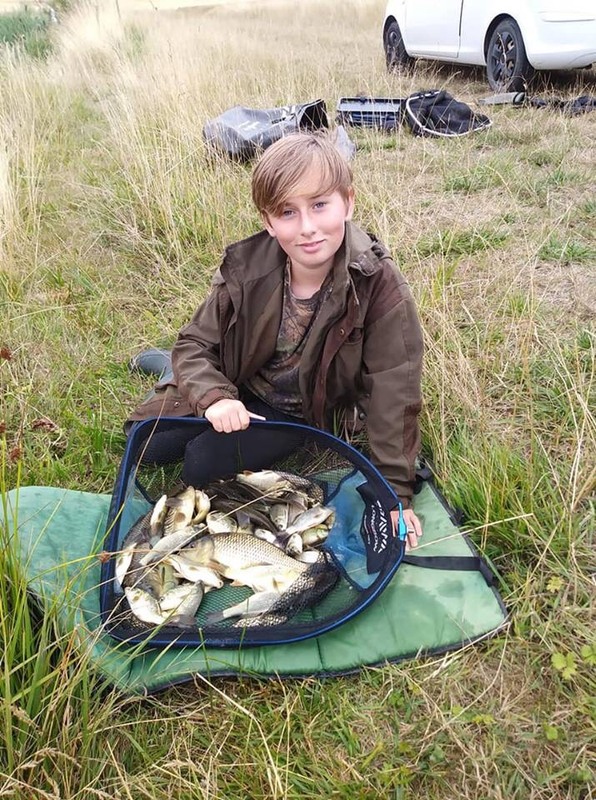 Brooke fished with a feeder and landed a fine bream for third on peg R. 11 different young anglers have fished the, closely contested, 3 match series and Adam Wheeler has come out winner of the Junior Cup,with a points total of 30 ,in 2nd spot Tyler Scott on 29, 3rd Brooke Copp on 28, 4th Ruari Hewitt 24 5th Tomas Scott 22. 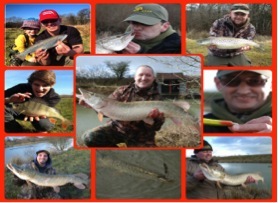 Thank you all ,helpers and fishers, and Summerlands Tackle for your support. 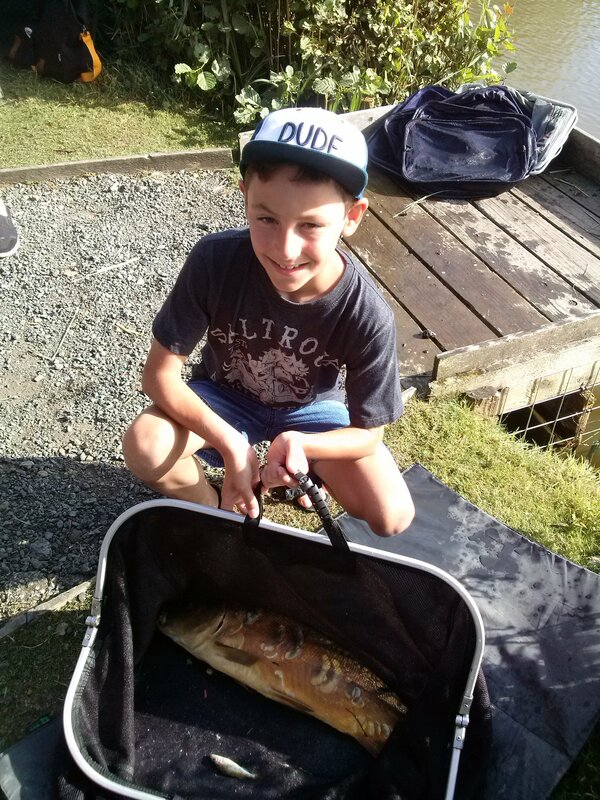 A great start to the summer holidays for Jensen Bowden who fished at Horwood Lakes. 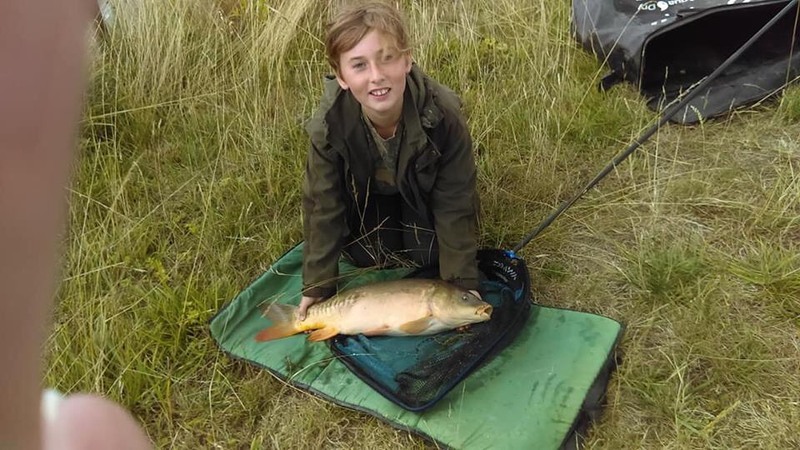 First time coarse fishing and he managed to land 75 carp and tench altogether with the best mirror carp of just under 10lb, Jensen caught well on corn and waggler from the top lake. Cracking day. I caught my first coarse fish from Mill Park Pond near Berrynarbor whilst in my early teens a tiny perch with bristling spiky fins and bold stripes. It took a worm suspended beneath an orange tipped quill float in a scene that could have been lifted direct from the pages of Crabtree that evocative book that inspired many young anglers in that age long before computer games and mobile phones. 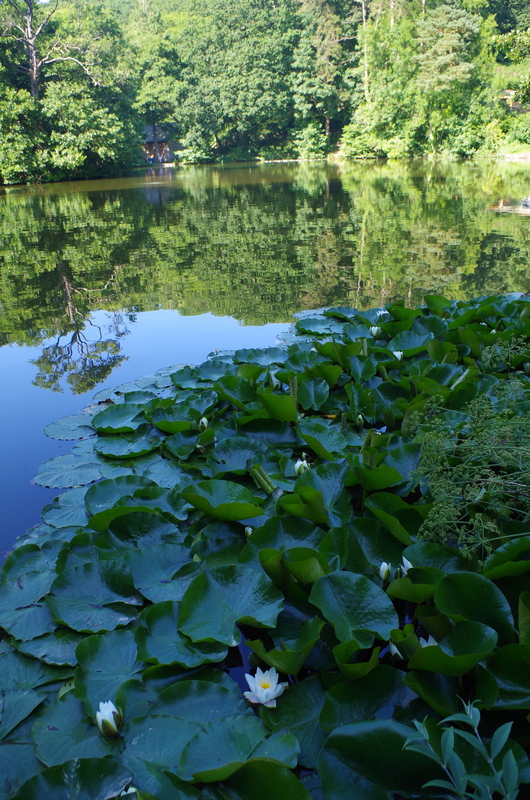 I spent many hours fishing at Mill Pond as a youngster fascinated by the mysterious quality of its tree shaded waters. 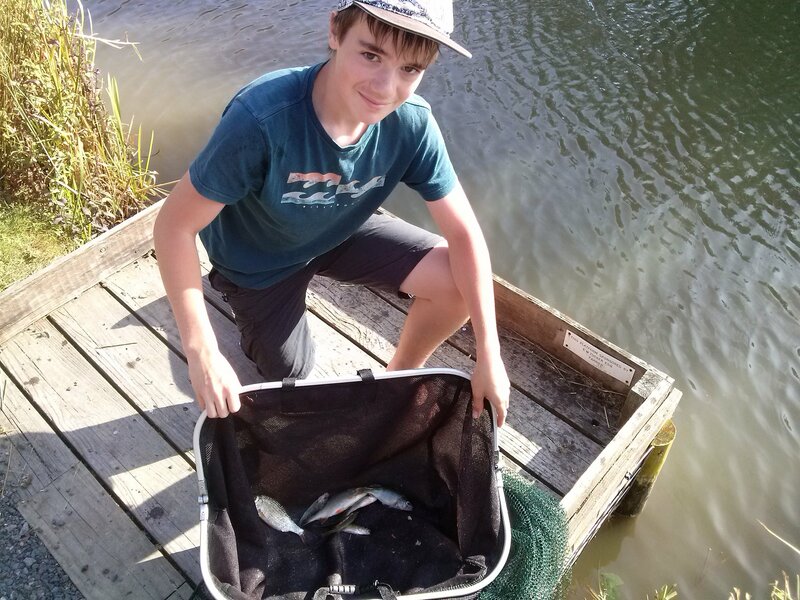 Roach, perch, bream and eels were our target as young anglers and it was generally simplistic fishing with float fished maggot or worms. 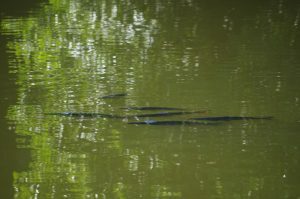 As we grew older we sometimes tried for the carp that glided through the water on sunny days appearing almost blue as the shafts of sunlight penetrated the water. 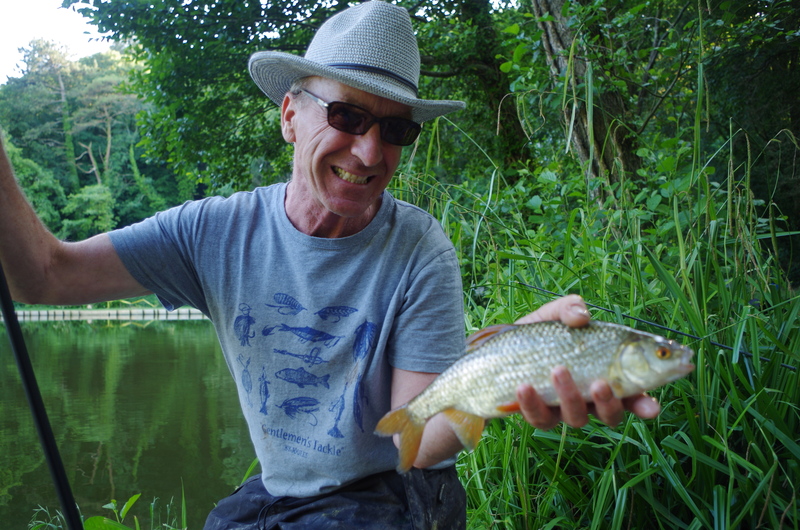 I caught my first carp from water on float-fished sweetcorn in 1981 a fish that took close to an hour to bring to the net on just 3lb b.s line. 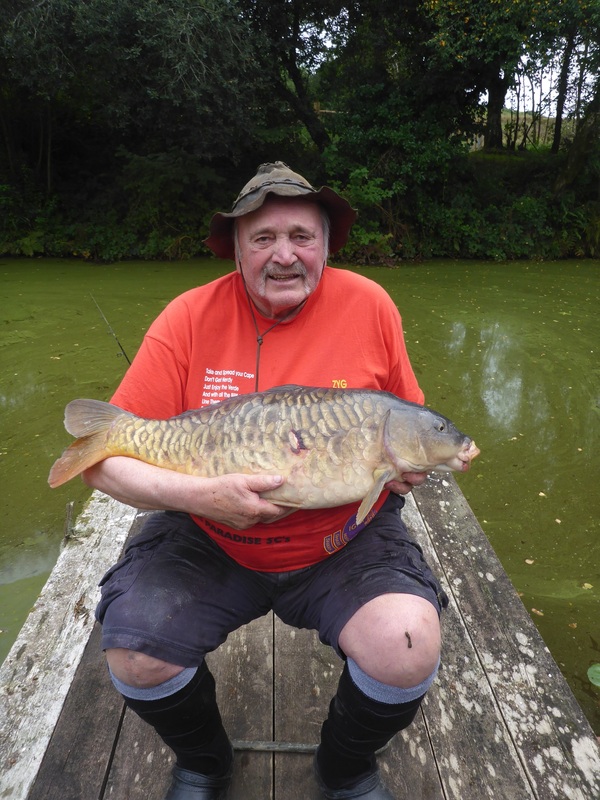 In the early eighties I went on to catch several carp from the lake to almost twenty pounds. The pond also produced several big perch during those years the biggest I heard of was found washed up dead and weighed 4lb 10oz a fish that was at the time very close to the British Record. 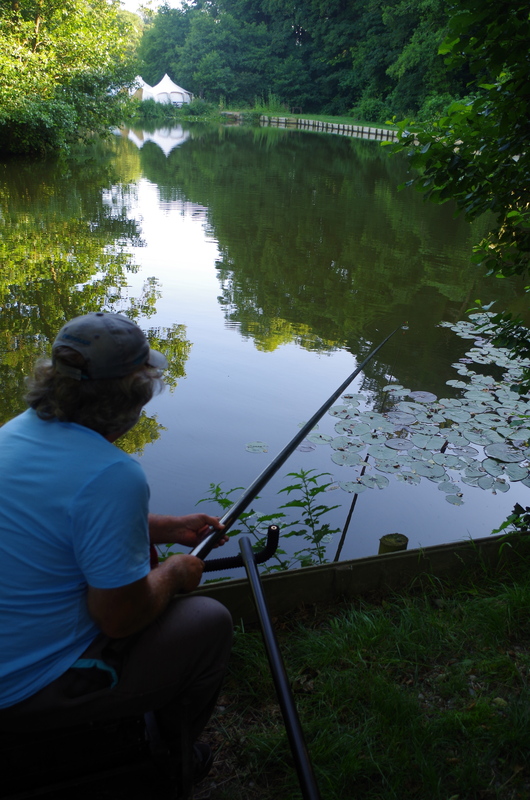 Whilst I always had affection for Mill Park or Mill Pond as we knew it then my visits dwindled as my fishing focus changed and the pond of my youth fell into decline with silting issues and dwindling stocks of fish. 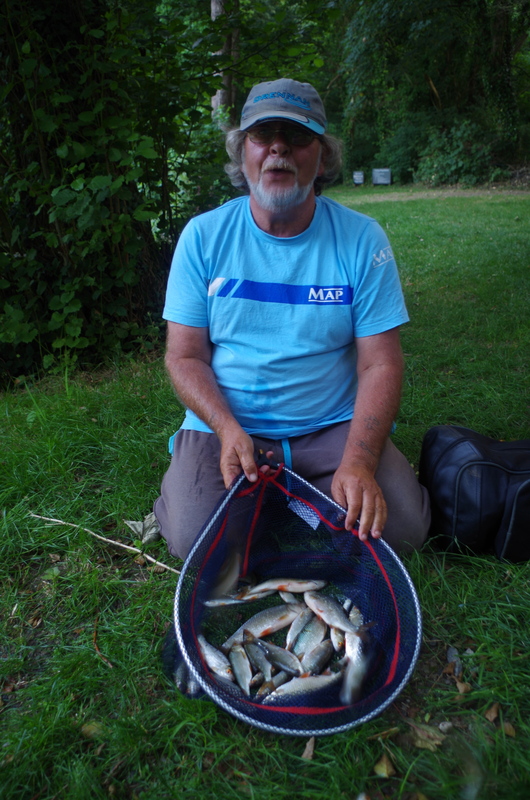 In recent seasons I was pleased to hear of good catches of roach, skimmer bream and carp. 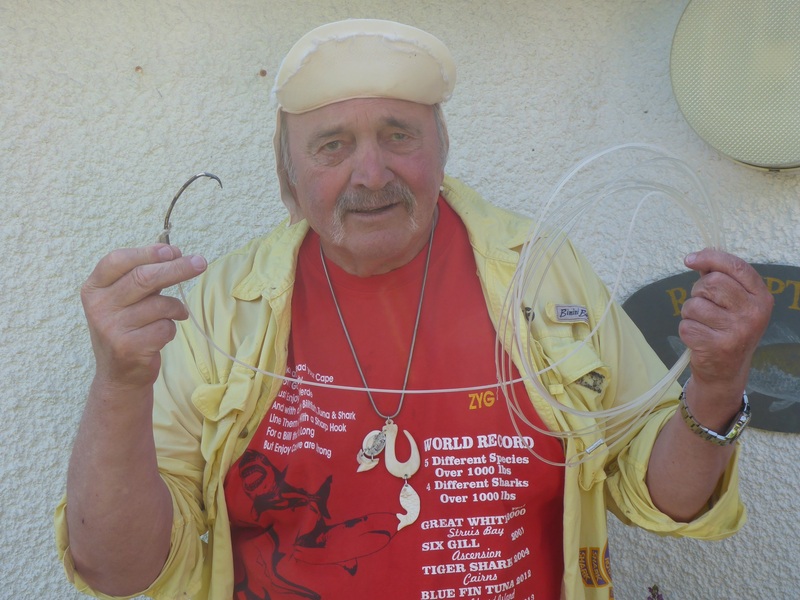 I was recently delighted to receive an invitation to visit the lake once again and seized the opportunity to revisit my early memories of fishing. 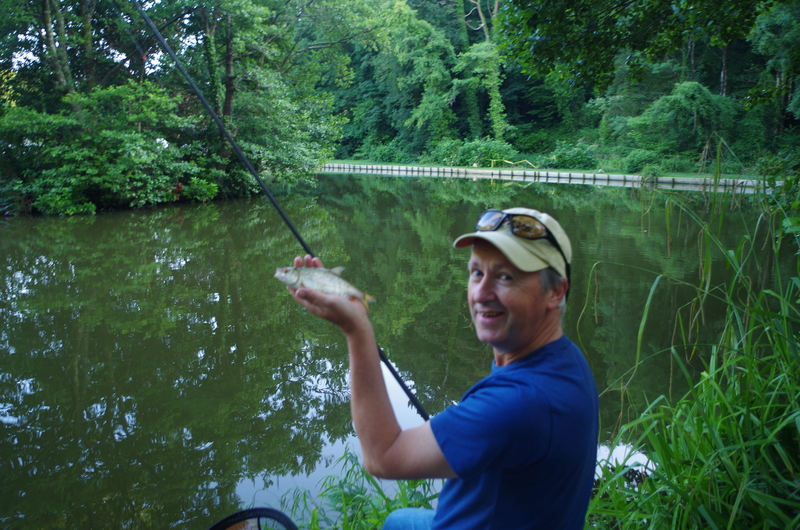 Knowing that the lake held good numbers of silver fish I decided to invite three match angling friends to fish the pond on a summers evening. I would tag along with my camera and attempt to capture some of the ponds magic. They would undoubtedly be far more able to show of the fantastic fishing available than myself. I am always wary of revisiting childhood abodes as time and maturity can sometimes shatter those treasured memories. Fortunately Mill Park has retained its charm and many of the features from my youth remained unchanged whilst the addition of a few water lilies, sympathetic bank work and de-silting has if anything enhanced the water. 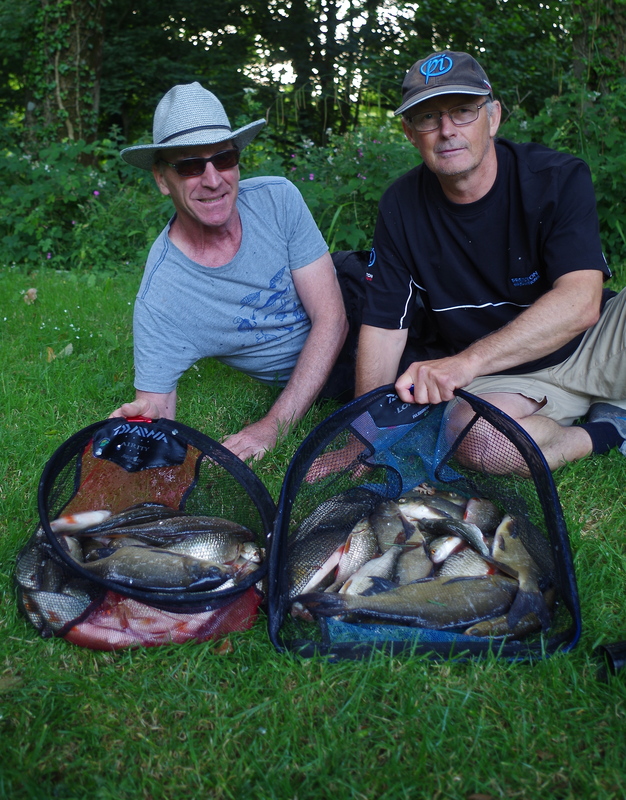 Martin Turner, Neilsen Jeffrey and John Forster are all keen match anglers and all enjoy regular success on the local circuit. On this summer evening in early July I joined them in the swims I had fished all those years ago. Sunlight streamed through the trees into the greenish opaque waters. Carp basked on the surface in the warm sunshine. The quaking of ducks echoed across the water. It was as if time had stood still for over forty years. 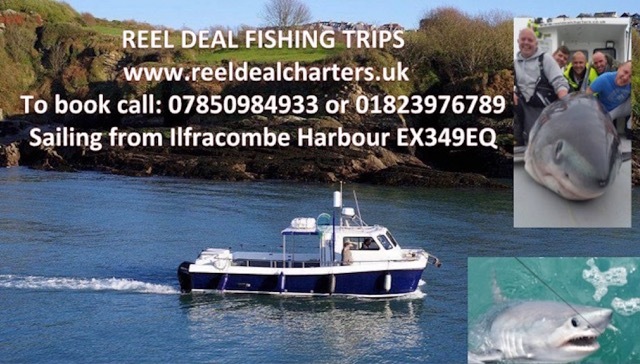 Martin and Neilsen had elected to fish side by side, Neilsen using feeder fishing tactics whilst Martin pole fishing with tares feeding hempseed. I was absorbed immediately watching the quiver tip as it shook and pulled round and the float as it sat optimistically before darting beneath the surface. It was fascinating to watch these masters of their craft at work as they constantly made tiny adjustments to their set ups as the fickle fish appeared to constantly change in their willingness to take the bait. It was Martin whose tactics appeared to win over on this evening with quality roach responding to constant feeding with just a few grains of hemp every cast. 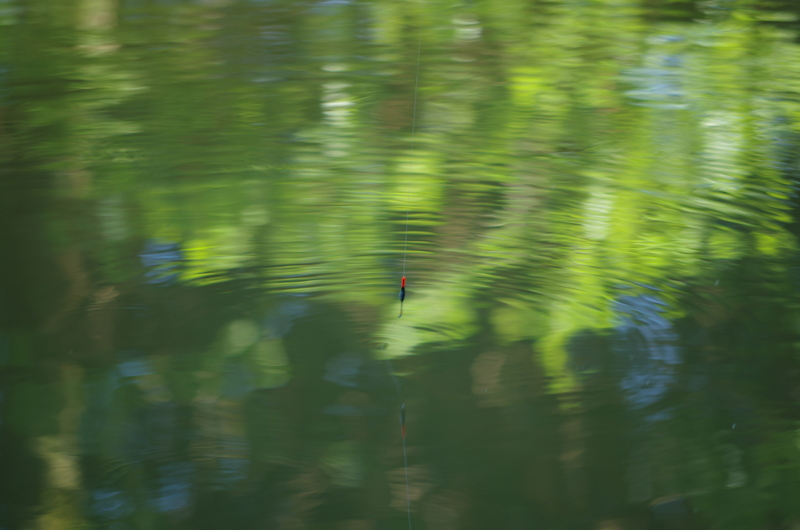 At times the water seemed to shimmer silver sided roach fed in frenzy beneath the calm surface. Steady feeding seemed to be the key to consistent success with a few grains of hemp fed each cast with Martin getting into steady rhythm of feed, hook fish, unhook, feed and repeat. Martin handed me the pole for five minutes and I swung a couple of roach to hand experiencing the sensation of pole elastic and a lack of running line. 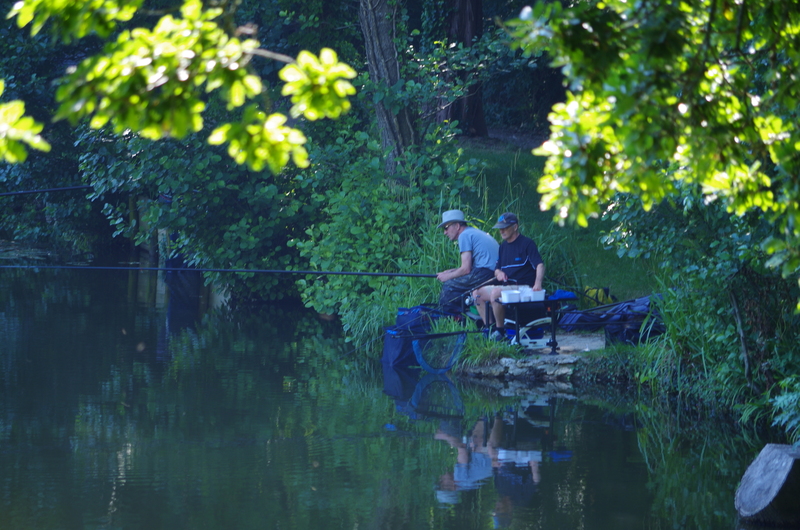 A few yards along the bank John Forster was using pole tactics to winkle out roach from beside a lily pad. 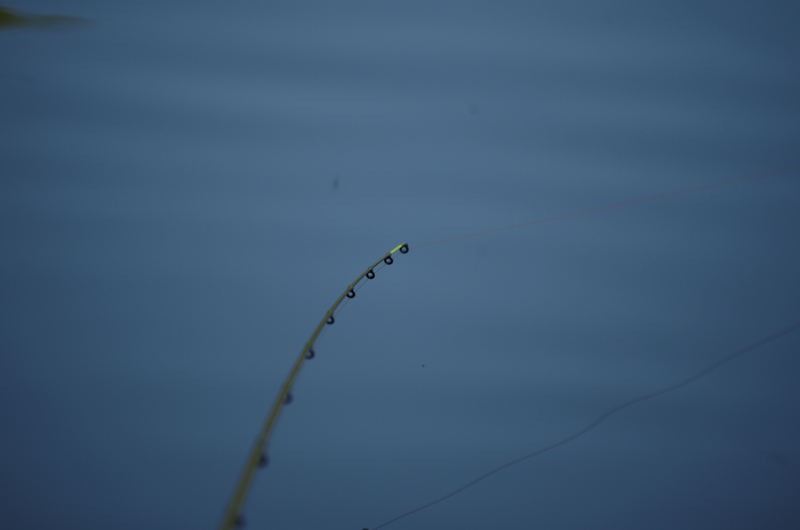 He also made brief contact with a carp that smashed the light tackle as it surged for freedom. After close to three hours fishing it was time to check the total catch and take a couple of pictures. The owners had allowed us to use keep-nets for this friendly evening demonstration of fishing tactics. 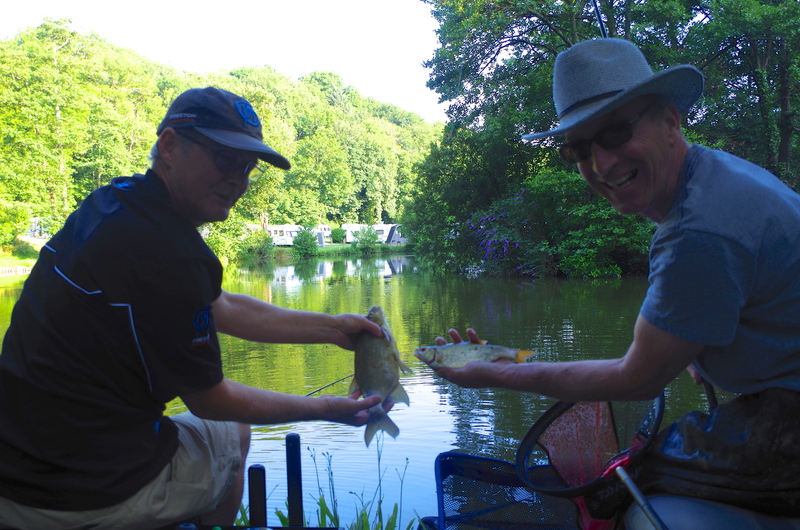 Martin, Neilsen and John caught well over thirty pounds, all four of us then retired to Mill Parks on site bar for a lengthy discussion on fishing over a well earned cool pint. 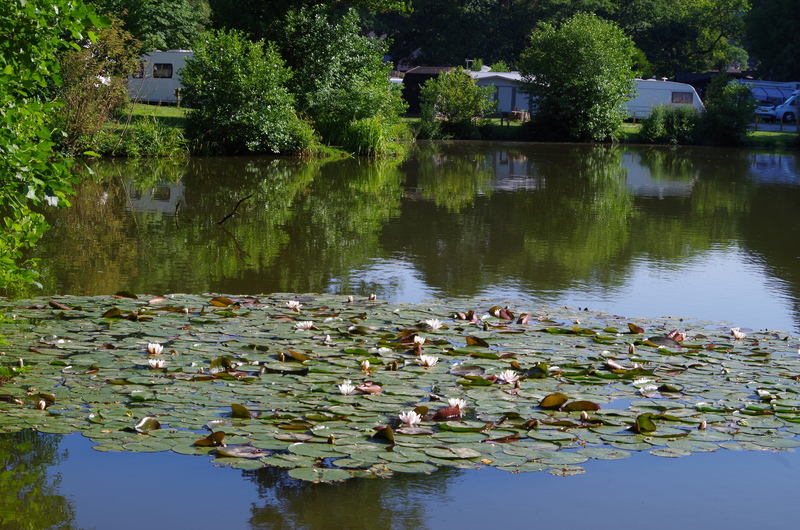 Mill Parks campsite is set in a stunning valley with modern well-maintained facilities. 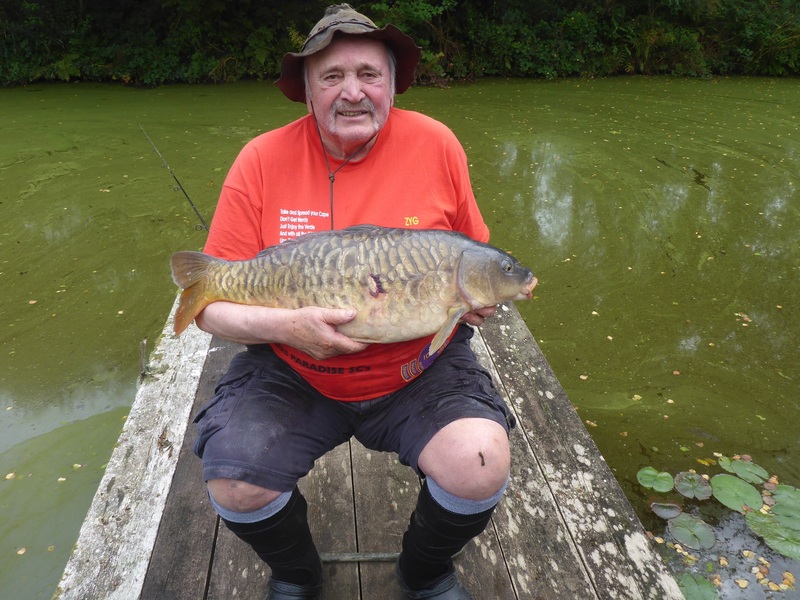 The lake is stocked with carp, roach, bream and chub. 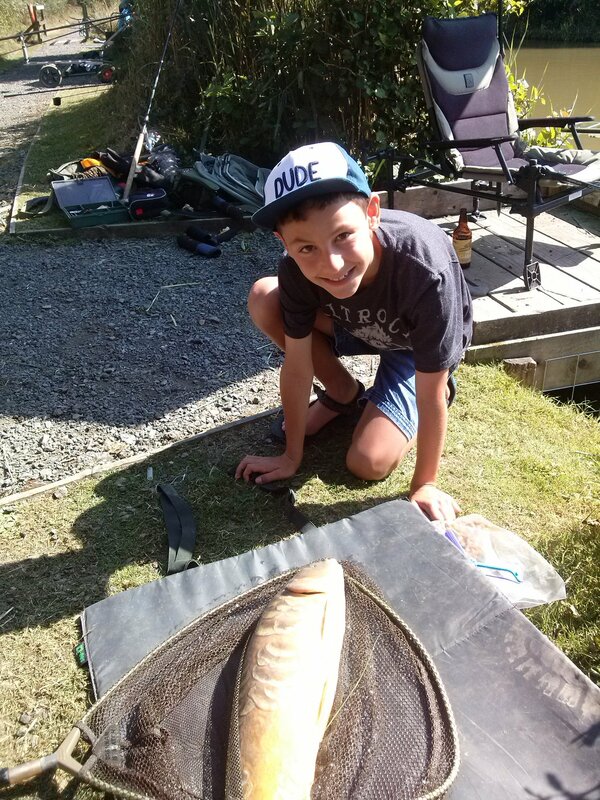 As a site for summer camping with excellent fishing it comes highly recommended. 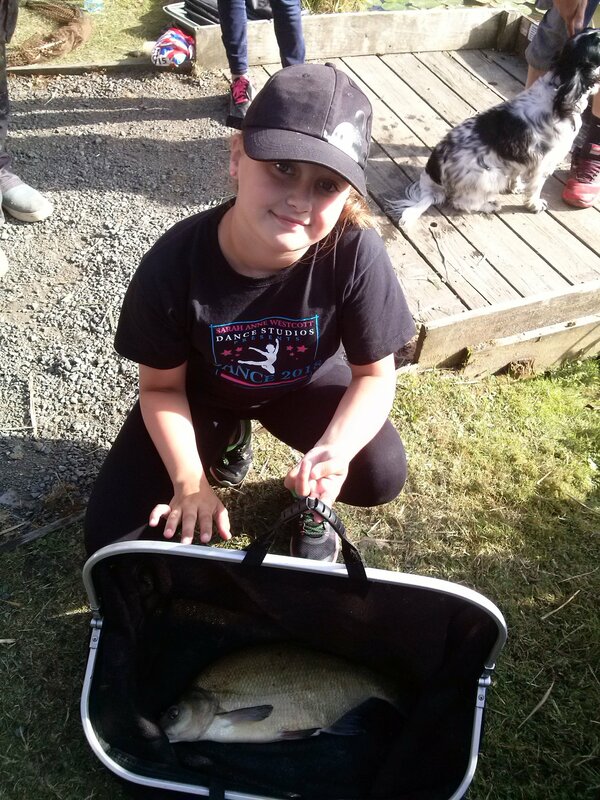 It is especially suited for young anglers who should be able to catch their first fish with ease and delight in the excitement of that unique contact with nature that can lead to a lifetime of joy. 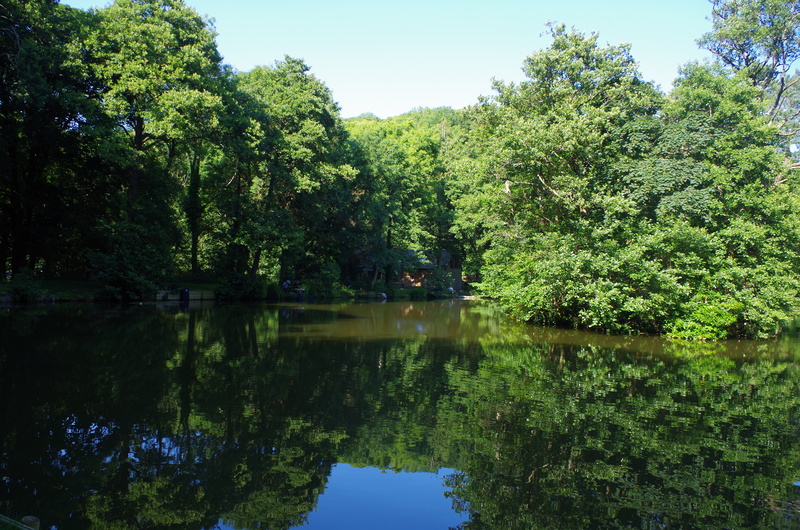 Out of season Mill Park offers superb roach fishing with regular matches staged with some stunning nets of silver fish winning matches.